This month we see yet another of the village pubs that closed to business in the 1990’s. 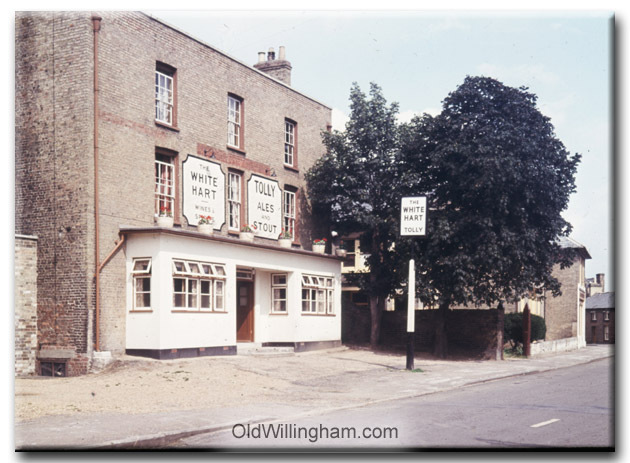 It is the White Hart, pictured in the 1960s. There were many popular pubs in the village and each had their own regular “clientele.” This is seen in photographs of village parades where members from each pub would compete with other pubs – often for the most outrageous fancy dress! The White Hart was a coaching inn with stabling at the rear from days when horses were normal transport. The collection also has photos from the 1920’s before the front was extended as shown here. The pub is now a private residence and has recently been subject to a very tasteful restoration.